Sharing your story reminds you what you believe in and helps you make sense of the world, an opportunity to savor memories. You may want to record your own personal history or stories of family members. Family histories put life in context, bringing the past alive for future generations. The starting point is to record the stories through a series of one-on-one interviews. Meg Eberle and Kaia Sand are members of the Personal Historians Northwest, and collectively offers years of experience in interviewing, researching, and writing. Meg or Kaia will come to your home and record the stories that you hold close to your heart. You will then be provided with electronic files of the interviews, audio story to pass on to family members. You also may chose to have written transcripts of your stories provided. We also offer these services for family businesses to research and tell their history. In addition to interviewing family members and former employees and associates, we can research documents, press clippings and photos related to the business. A story in your voice can be written from the interviews and printed in a beautiful book with your favorite photos, letters and documents, a valued legacy. The options are many and can be customized. You can choose a professionally bound book. Another option is for you to make hand bound books. We can guide you through the steps that best fit your needs. Your story is the perfect way to pass on your lessons and insights for a lasting connection with generations to come. 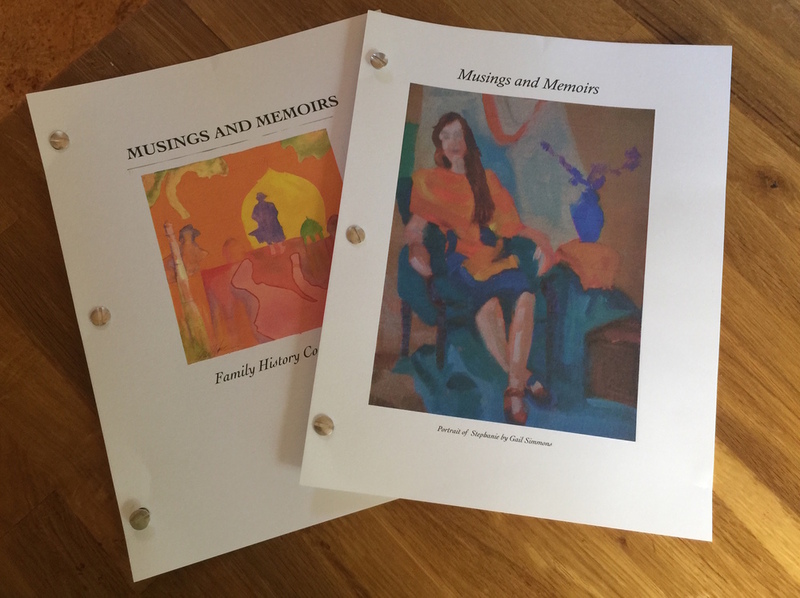 Vignettes & Verses also is available for mentoring if you are writing your own story or the story of family members. Personal histories take many forms: autobiographies, oral histories, memoirs, and life legacies. Vignettes & Verses can guide you through the writing and production process of the format you choose. If you are interested in a complimentary consultation please contact Vignettes & Verses.